Happy Monday Ladies! 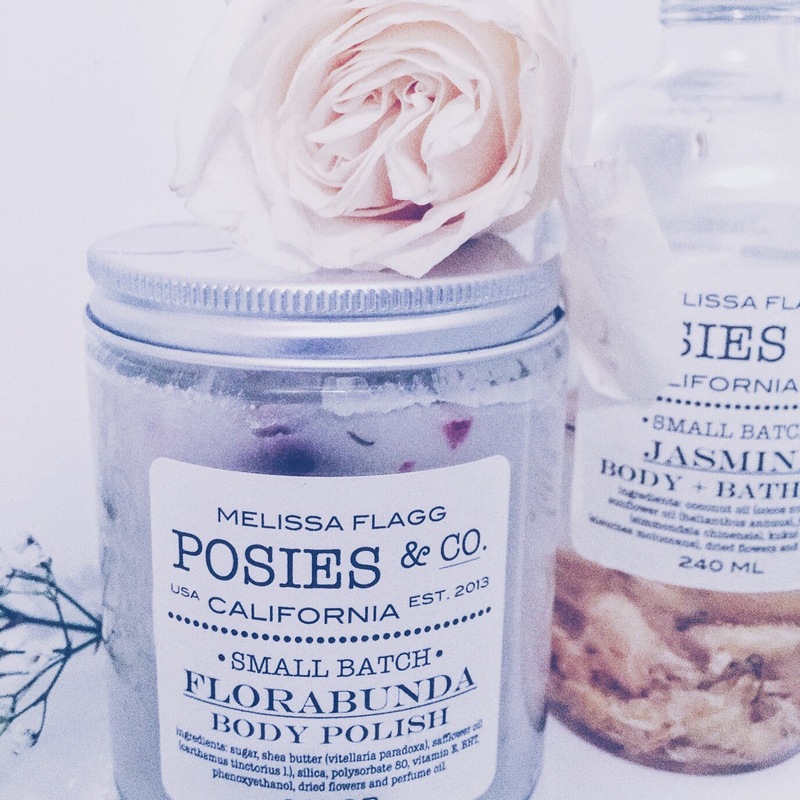 Talking about how I prep for the busy week ahead and trying to love my body on a budget! 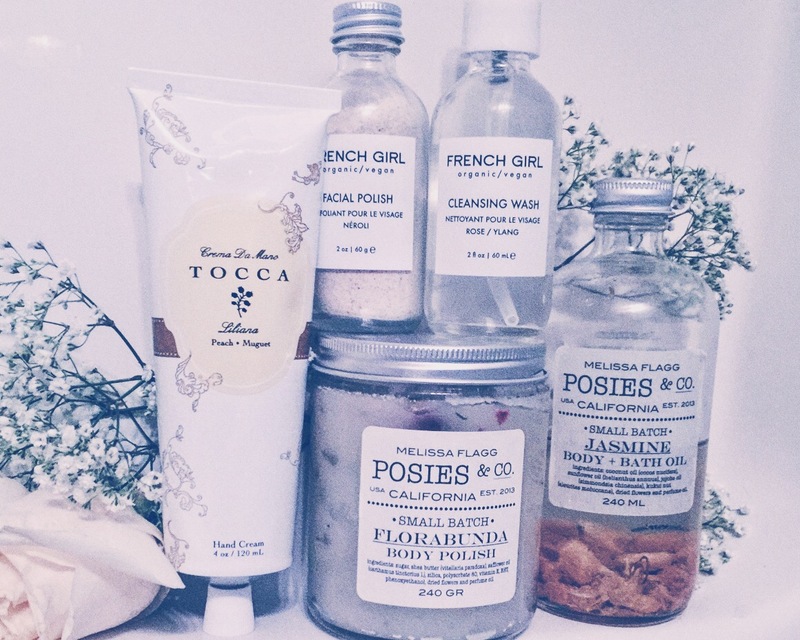 If you’re like me you can’t just run off to the spa when you need a makeover (Tragic, I know) but who says we can’t CREATE our own spa in our very own home? 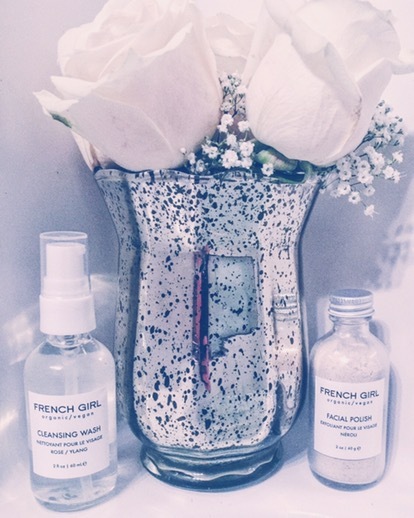 Last week I picked up a few more items I am currently obsessing over. 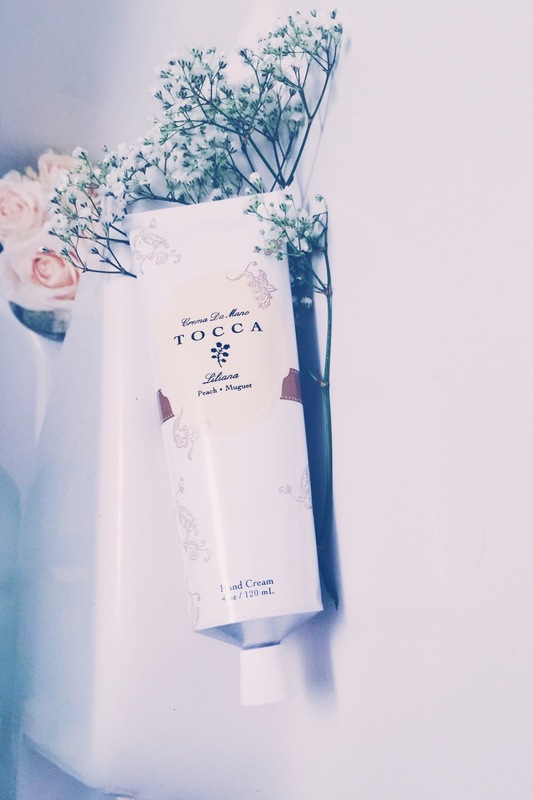 So anyway-You know those absolutely amazing “Capri blue (volcano)” candles Anthropologie always has burning when you go in?… WELL they also make it in a hand cream, which is completely fabulous but my newest obsession is the Tocca brand in Peach and Muguet . 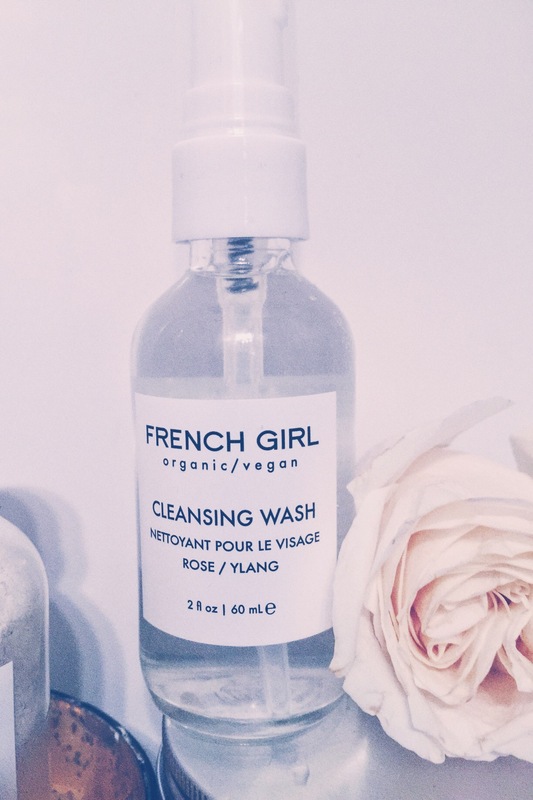 Anthro has really got a great skin care selection with products that are vegan, natural, and the gorgeous packaging is just a bonus. 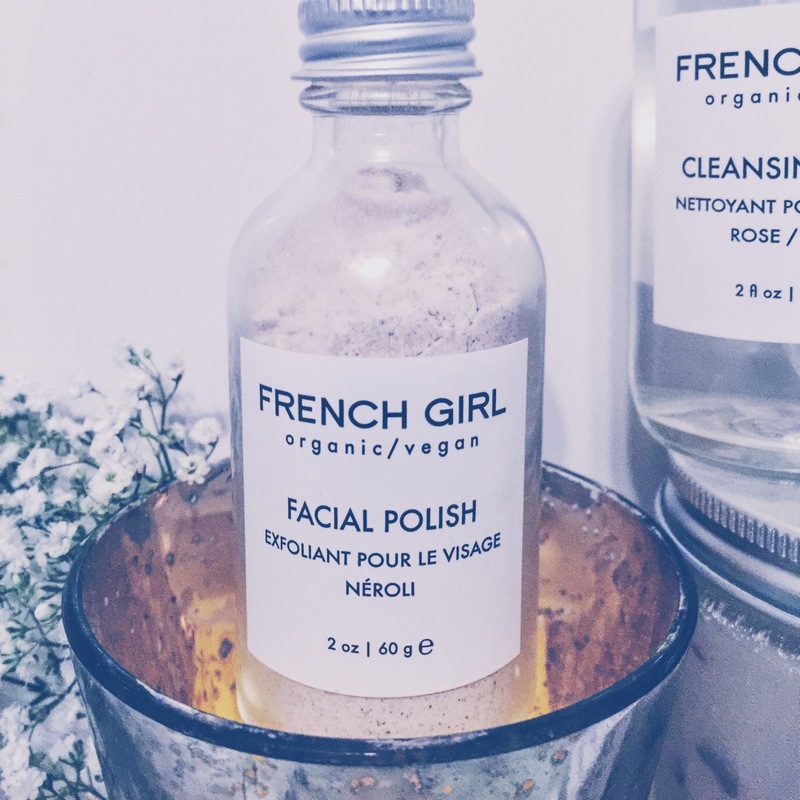 Each year I’ve become so much more conscious about lathering on beauty products with ingredient names that are highly unpronounceable so I’ve switched out my regular face wash and scrub for these natural versions and I could not go back now. Hope you love these as much as I do. I would not recommend unless I LOVE each one and can honestly say that I am OBSESSED with every single one. 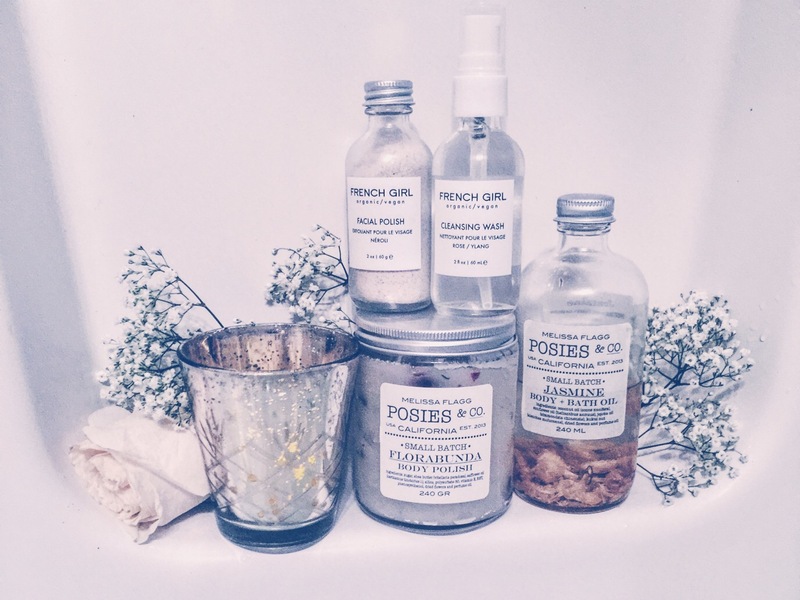 POSIES BODY POLISH-HERE **this body scrub is perf. for upcoming winter months of dry air. 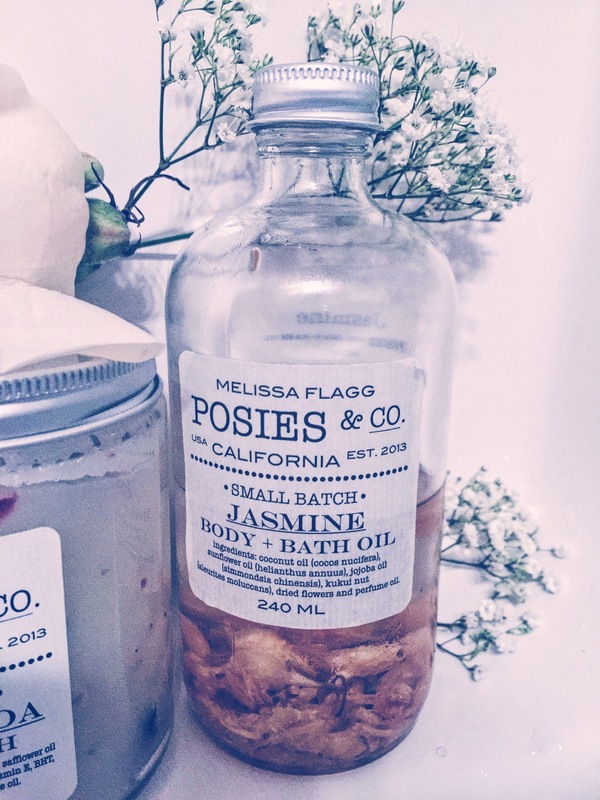 POSIES BATH OIL – HERE **mine is Jasmine scent but they also have lavender and I think they change seasonally. 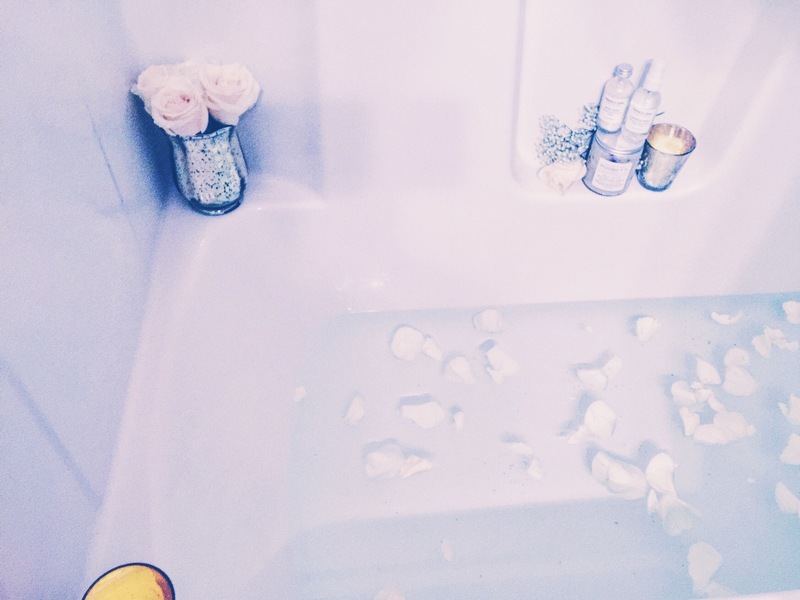 BONUS: If you really want to get fancy add rose petals to your bath with bath salts or essential oils. 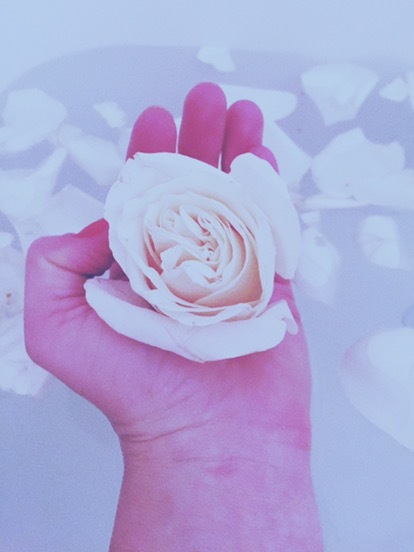 I add the entire rose-even the corolla), the middle yellow portion which really helps to add a fragrant smell to your bath! Happy Soaking Ladies! Looks fabulous!! Love all your mercury glass accessories too! !